Stephen W. Hawking, world famous Cambridge University physicist, died early Wednesday at his home in Cambridge, England. 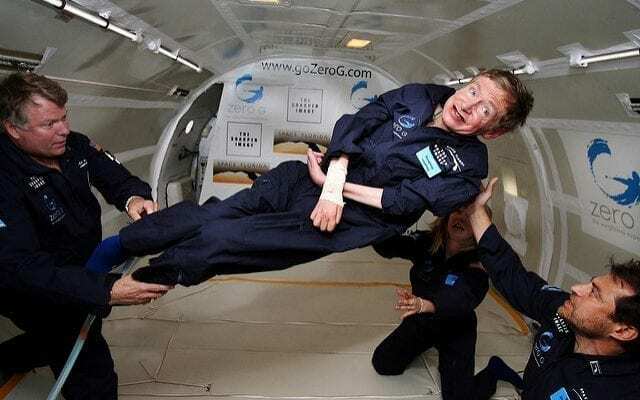 Dr. Hawking was known for his groundbreaking theories on the nature and origin of the universe, all the while being confined to a wheelchair from ALS. His book “A Brief History of Time: From the Big Bang to Black Holes” went on to sell more than 10 million copies, and the story of his life was portrayed in the 2014 film “The Theory of Everything.” Eddie Redmayne portrayed Dr. Hawking in the film, and won the Oscar for best actor that year. Dr. Hawking suffered from ALS, a neurodegenerative disease also known as Lou Gehrig’s disease, which is typically fatal within a few years of diagnosis. He received his diagnosis in 1963 at the age of 21 while a grad student, with doctors only giving him a few years to live. As the disease progressed, it left Hawking wheelchair-bound and paralyzed. He was only able to move a few fingers on one hand, and become entirely dependant on others to take care of him. Despite crippling him physically, his mental state remained in extraordinary shape. Hawking was able to communicate with others using a speech synthesizer, which was given to him in the 80’s after he lost his ability to speak. Dr. Hawking’s work as a cosmologist and physicist brought forth some of the most groundbreaking discoveries in the history of mankind. In 1974, Hawking combined quantum theory with black holes, and proposed his theory that they did not destroy matter but rather recycled it, spewing out what has become to be known as “Hawking Radiation”. Hawking married his college sweetheart, Jane Wilde, in 1965, only two years after doctors gave his diagnosis. They first met in 1962 in St Albans in the UK, when they began to date. Jane was warned by a family friend that she would be marrying into “a mad, mad family.” They would go on to be married for 30 years until their divorce in 1995. He went on to marry Elaine Mason, until 2006. Dr. Hawking lectured at the White House during the Clinton administration and in 2009, he received the presidential medal of freedom from Barack Obama. He was also quite active in entertainment, appearing in shows like The Simpsons, Star Trek: The Next Generation, and The Big Bang Theory. 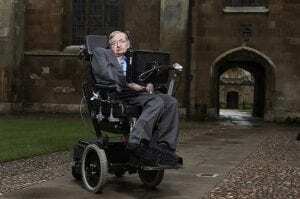 Dr. Hawking leaves behind three children from his marriage to Jane, as well as three grandchildren.